Do you need to be hosted? son of Marleigh and Matthew Rutman. Metzorah contains a lengthy description of various skin diseases and how they are diagnosed. Meztorah continues with the theme of last week's parasha , tamei and tahor , giving the specifics about when and how one becomes tahor again after the physical healing. The Torah also speaks about the implications of "disease" on buildings and how to cure that. It finishes with a section on "bodily discharges." This Shabbat , the Shabbat immediately preceding Pesach , is called Shabbat Ha-Gadol , or The Great Shabbat . The name is taken from the last line of the haftara , "hinei ani sholeach lechem et Eliyahhu Ha-navi, lifneii yom Adonai, Ha-Gadol v'hanora; Behold I will send to you the prophet Elijah, before the coming of the great and awe filled day of Adonai" (Malachi 3:23). Yet the verse begs the question, what exactly is "The great and awe filled day of Adonai "? There are at least two possible answers. The most obvious is that we pray that the prophet Elijah, an "expected guest" at everyone's seder , will come to bring a final redemption and herald the messianic age. We speak of this as we approach Pesach because our redemption from Egypt is looked upon as a partial redemption, and as we celebrate our redemption from slavery on Pesach , we hope for that "great and awe filled day" when all people will be redeemed from slavery and the world will be fully at peace. There is a second answer, which is more practical. When we recite the haftara , Malachi 3:23 is repeated, recited both before and after verse 24. What does verse 24 say? "Elijah (or perhaps God-it is not clear) shall reconcile parents with children and children with their parents..." (Malachi 3:24). In other words, world peace may be a bit elusive and far off, but what is hopefully achievable is peace in our families. 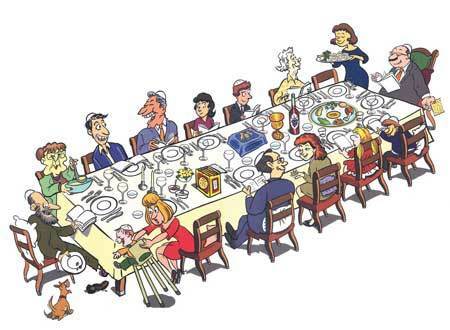 Indeed there is no more of a family celebration than the Pesach seder , a time when Jews travel long distances to celebrate with their families. Family reconciliation is not simple or easy, but it is certainly much more accessible than complete world peace. At Pesach time, while we pray for that final redemption, if the words of Elijah can help bring peace in each of our families, then dayenu , that is certainly enough! Mazal Tov to: Marleigh & Matthew Rutman on the Bar Mitzvah of their son, Tristan. Mazal To to: Karen & Giora Payes on the Bat Mitzvah of their daughter, Sarah. Mazal Tov to: Margie & Mike Kirsch on the birth of their grandson, Samuel Bryan Kirsch. Samuel is the son of Dan & Sara Kirsch. Mazal Tov to: Patti & Bill Robbins on the birth of their granddaughter, Penelope Clara Robbins. Penelope is the daughter of Ben & Melanie Robbins. 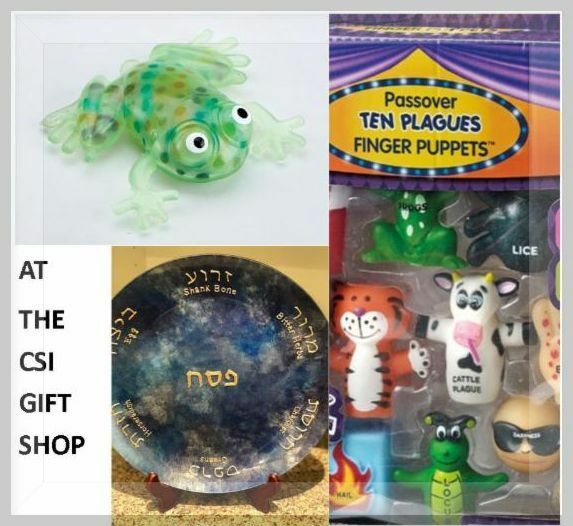 ﻿These Passover novelties and many more are now available at Matanah , the gift shop of CSI. Stop by and see our just-in seder plates from "aRT on Glass Studio in New Hampshire." 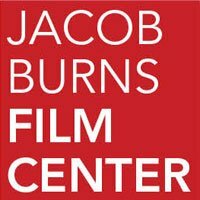 We're open on Sunday, 4/14 from 9:30 - 11:30. We welcome celebrated author Lore Segal to CSI. At age 10, Lore was separated from her family in Austria, traveling alone to England as part of the Kindertransport. Ms. Segal is the author of dozens of best selling books including her critically acclaimed semi-autobiograhical novel, "Other People's Houses," as well as her 2008 Pulitzer Prize finalist book, "Shakespeare's Kitchen."